The people behind Regency Home Remodeling have been remodeling Chicagoland for over 4 decades. Our commitment to excellence is the trait that separates Regency from our competitors. Our commitment to excellence is what will separate Regency from other home remodelers. Quality, price and service are just some of the characteristics that Regency Home Remodeling applies to every project. We strive to exceed our customer’s expectations. Our new Regency Home Remodeling team is comprised of individuals who embrace this philosophy and have provided quality remodeling projects to the Chicago land area for over four decades. Regency Home Remodeling will apply our vast knowledge and expertise to each project we are entrusted to build. We adhere to all building codes as well as industry standards and guidelines. We will never cut any corners and will devote ourselves to building our customers beautiful functional projects. We are constantly reinventing ourselves and keep current with the newest technology in the industry. Regency Home Remodelers uses professional, licensed, bonded certified installers. When you choose Regency, you are guaranteed that your job will have top of the line industry products and be built to your specifications. Also, Regency offers full manufactures warranty as well as our unprecedented Regency service guarantee. Regency Home Remodeling prides itself on being Chicagoland’s premiere bathroom remodeling expert. Our specialists have been meticulously combing function, design, style, and cost-effective solutions to home owners for over thirty years. RHR’s approach to bathroom remodeling is simple: Communication, attention to detail, and execution. Our design specialist listens to the client, which is essential to understanding your bathroom remodeling needs. Attention to detail – from the color of the grout to the type of exhaust fan – is a priority. No detail is overlooked, which ensures a beautiful and functional bathroom. Efficient job execution is crucial in delivering a gorgeous bathroom with minimal disruption of your daily routine. Regency is excited to offer our clients an opportunity to save money through our Buyer Direct Program. RHR’s innovative program allows you to purchase your fixtures, tiles, and miscellaneous items at Regency’s wholesale prices. It’s simple: We pass along our discounts from the suppliers to the homeowners. Regency Home Remodeling has certified, licensed, and insured professional installers. In addition, RHR offers an unprecedented service guarantee as well as full manufacturer’s warranties. Call us today or fill out our contact form to take advantage of our commitment to excellence. Regency Home Remodeling recognizes that the kitchen is the heart of the home. This dynamic room is where families come together to enjoy home cooked meals and share details of their lives. Regency’s design specialists will work side by side with the homeowner to create a space that blends perfectly function, taste, and cost. Your new kitchen will be a place where family and friends can enjoy themselves for years to come. Regency understands what an important investment a new kitchen can be. We know how to guide you through the process of a kitchen design and assure your money is spent wisely. Our professional design team pays particular attention to the details. Regency will ask questions and listen to your answers. Consequently, taking your vision and building you beautiful kitchen. We will offer design ideas from lighting, layouts, cabinetry, flooring, counter tops, backsplash tiles and fixtures. Your sparkling new kitchen will be functional and a terrific investment in your home. From start to finish Regency will work with you every step of the way and with our buy direct program we save you money. Regency’s innovative program allows you to purchase your fixtures, tiles and miscellaneous items at Regency’s wholesale prices. It’s simple we pass along our discounts to the homeowners. Regency will make your kitchen remodeling project an enjoyable and exciting experience from start to finish..
Regency Home Remodelers specializes in siding renovation. We pride ourselves on being Chicagoland’s premier exterior experts including, siding, soffits, fascia and, gutters. Making a decision to replace existing siding or adding new siding to your home is an important investment. Most likely it will be a once in a lifetime decision so it is important to choose the right installers. Regency Home Remodeling will assist you in maximizing your investment and making your home beautiful. Regency Home Remodeling is proud to offer the highest quality siding products. Our design experts will listen to your needs and desires while making cost effective quality suggestions. Our siding products are precisely manufactured for lasting strength and resiliency to the harsh winters and steamy summers of the Midwest. Regency Home Remodelers professional certified installers provide quality installation of your chosen siding. Our attention to detail will insure functional long lasting protection for your home as well as a beautiful appearance. We are certified to install all brands of siding products. Regency offers a full manufacturer’s warranty and an unprecedented service guarantee. Regency Home Remodeling has been installing custom windows in the Chicago land area for over four decades. Let the sunshine in and save money with Regency’s Energy Star custom replacement windows. New custom energy efficient replacement windows will create tighter seals around openings in your home and reduce your energy cost. Basically, new replacement windows will pay for themselves. Regency customizes all windows within 1/8” of your existing opening in your home. Regency Home Remodeling fusion welds all of their windows to exact specifications. In addition, to custom fitting Regency offers windows in a vast array of styles and colors to suit your taste and needs. For example, custom energy efficient windows that tilt make cleaning a breeze. Regency distinguishes themselves from the completion in several ways. 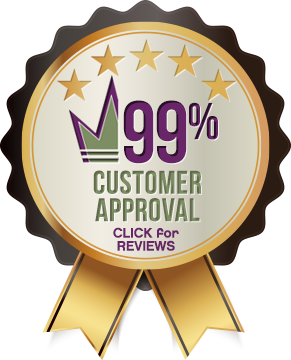 First, our customer service, price and quality surpass all other home remodeling companies. In addition, to our Regency brand windows, we are certified to install all major window brands. We offer full service warranty and our Regency guarantee. Regency Home Remodeling is the premier home remodeling experts servicing the Chicagoland area for over four decades. Room additions have been increasing in popularity over the past several years because families need more space as they grow and buying a new home has become difficult. Room additions will increase your living space, make you more comfortable and, will increase the value of your home. Increasing your living space and enhancing the quality of your existing living space is much easier and less expensive than you might think. Regency’s expert design team will walk you through every facet of the remodeling process whether you are planning a bathroom addition or a whole new second floor. Regency will partner with you from your initial concept, working closely with the architect, securing the permit and then letting are professional remodeling specialists construct your beautiful new project. We have years of experience extending kitchens, building master suites, adding bathrooms and much more. Whether you’re building up or building out Regency Home Remodeling will seamlessly integrate the new space to compliment the original character of your home, or we can create an entire new look for your home. Room Additions can be a wise business decision, especially if you love your existing home, but need more space. Additional square footage means more than just added space. It increases the value of your property. Regency’s team of experts provides not only superior quality but true craftsmanship. We know that your home is our workplace and we try to go unnoticed and minimize the inconvenience to your family. With the Regency guarantee you are assured quality and more importantly piece of mind for years to come. We Will Cover Your Investment! Your roof is the most integral part of your home. A professionally installed roof provides shelter from the harsh Midwest seasons. Homeowners tend to underestimate the wear and tear a roof takes from Chicago’s harsh winters and steamy summers. Regency Home Remodeling are a full service licensed and insured roof experts. Regency has the experts to repair or replace any type and size of roof. Shingle roofs come in all different sizes and pitches. Our roof specialists will offer expert advice on the best course of action for your roof. We offer materials from three tab shingles to high end architectural shingles. Cedar roof no problem, slate roof let’s get it done. Regency offers the same expert advice on all flat roofs with the same warranty and guarantee. Protecting and repairing your roof is critical to prevent the elements from coming inside. Remember the roof not only protect all of the homes contents but, holds up the walls. Regency Home Remodeling is so confident in our materials and our professional installation expert that we offer a guarantee over and above the manufacturer’s warranty. Our guarantees are the best in the business. Regency Home Remodeling specializing in masonry work, culture stone, glass block, decorative brick, fireplaces, for new construction and renovations. Tuck-pointing is the repair of aged and damaged mortar joints. Over time damaged mortar joints will most likely lead to water problems and possible structural damage to your home. Regency Home Remodeling wil deploy a structural specialist. Our expert will consult with you about your specific issues and recommend the best possible solution at an affordable price. Our award winning design staff and certified installers are fully committed to maximize your investment! Regency’s Home Remodeling team is comprised of experts that will repair or replace all types of porches. Your project begins with our award winning design staff that pays particular attention to the details. Regency’s architectural team will make meticulous plans according to existing building codes. Furthermore, Regency’s expediting experts will take the hassle out of obtaining the necessary permit. We do all the work while you relax and make plans to enjoy your new porch. Regency Home Remodeling uses only the highest grade pressure treated lumber that is kiln dried lumber and delivered to the job site. In addition, we are FSC Certified Chain-of-Custody supplier for wood products. Our Certified wood products come from “well-managed” forests adhering to the strict environmental and socioeconomic standards in accordance with the principles and criteria of the Forest Stewardship Council (FSC). Furthermore, we are committed to helping our customers maximize their leadership in energy and environmental design. Regency Home Remodelers are certified to install all brand names and types of porch and decking products. Remember, certified installers insure you a full manufactures’ warranty as well as our unprecedented Regency service guaranty! Don’t Move Out, Move Up or Down! Feeling cramped for space? Regency Home Remodeling’s professional designers and planners can turn your unused space into a beautiful livable space you can enjoy for many years to come. With Regency’s creativity and expert planners we can transform unused space into multi-functional space for bedrooms, a home office or an added leisure space for the entire family to enjoy. You can rest assured that we have the expertise, knowledge and know how to handle every step of the process from drawing the design to acquiring the necessary permits required to complete your project. If you love your current neighborhood, why move? Regency will advise you on the best way to expand unused space and make a solid investment in your existing home.